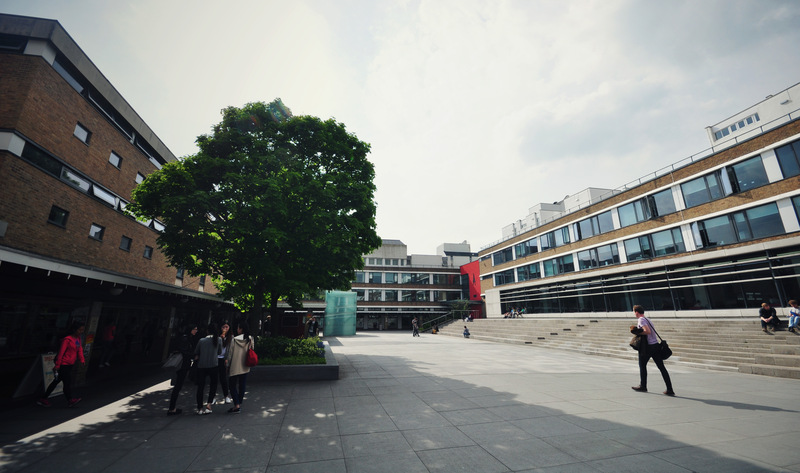 The University’s Finance and General Purposes Committee has approved a 2.5 per cent increase in campus rent, and a five per cent increase in tuition fees for postgraduates and overseas students. Evidence shows that dissent on this matter was expressed only by LUSU President Laura Clayson. These proposals were then brought to University Council for approval on Friday Week 7. In that meeting, student representative Colin Mang and Clayson pushed for broader consultation with departments and students; this proposal was voted down by the vast majority of the body, and the increases are set to go ahead. A full report will be published in SCAN shortly. When the merriment and hubbub of Freshers’ Week dies down, many students invariably find themselves hit with a stark realisation: that their maintenance loan doesn’t cover the cost of their accommodation, that their fees don’t go towards books, and that while 27 grand worth of future debt is abstract enough to ignore, their day to day spending is a very present and looming reality. Many will immediately capitalise on the interest-free student overdraft, which will saddle you with the task of paying it off before you do anything else with your first graduation pay-packet. Many begrudgingly enter into work alongside their study, which can have a deleterious effect on the unique social and extra-curricular life that university affords you. Meanwhile, the maintenance loan remains stale and incomparable to inflation, and the student experience becomes characterised by perpetual financial hardship. And what, you may ask, was the rationale for increasing tuition fees by up to five per cent? It can’t be in line with inflation unless it has been predicted that wages are going to shoot up over the next two years; the academic experience isn’t likely to rise by five per cent, and seminars aren’t likely to start coming with free sandwiches and a Cabaret band. No, the reason given by University management was to bring Lancaster ‘in line’ with its competitors. This commentator is of the belief that the increase is yet another manifestation of Lancaster’s spoilt child syndrome: Durham has a shield, we’ll have a shield. Oxford asks for three As, we’ll ask for three As. Johnny has an iPad, I want an iPad, etc. etc. etc. Once again, a shallow and superficial facelift to the prospectus, with no obvious root changes to the academic provision. With such unattractive and disproportionate deals on the table, this University is witnessing applications drop at a startling rate. International applications, one of the pools they seek to increase fees in, have declined by nine per cent this year. Of particular worry is the plight of Postgraduate students, the majority of whom haven’t the loans or grants to make ends meet, the majority of whom have to pay their fees up front. How in God’s name is increasing fees conducive to fulfilling one of the University’s key strategic aims – to retain brightest and best, to nurture them into great academics, when they have to hollow out their overdrafts or take on low paid seminar tutoring just to keep themselves afloat? This University also needs to consider just how much more attractive it will remain to international students as fees rise – it is entirely possible that international students, who are a substantial source of income for the University, may begin looking to higher ranking institutions who can ‘justify’ higher fees. In spite of opting to impose yet higher fees and yet higher entry grades, University House will continue to scratch their heads and wonder what the hell is going on with our application figures. And in spite of putting ill-fated motions in place that they believe will bring applicants begging for a go, the University still finds itself desperately clawing at students; a year ago they handed out luxuries to potential clearing students like Smarties in a bid to win their hearts. This year they wrote to the increasingly desolate application pool to inform them that they’d still be allowed in even if they didn’t quite make the grades. So, how severely will fee rises damage our applications? How severely will the bank balances of on-campus students be dented by rent hikes? This University will certainly have a lot to answer for if the answer to all of the above is “incredibly bloody severely”, and many people to answer to. You only have to see what the city is like in the summer months to know just how much the student body bolsters the local economy. You only need look to parents supporting their children financially through their studies to see that collateral damage is looming. It was only a few days ago that Lancaster students followed thousands of others on the march in London to protest outside parliament. One thing was clear; tuition fees are at the forefront of many people’s minds when they enter the polling booths at the General Election, and none of the main political parties are free from ire. To Lancaster’s Pro-Chancellor Roger Liddle (who represents the Labour Party in the House of Lords) and its incoming Chancellor Alan Milburn (who is a former Labour Party MP): what influence do you intend to use to set things straight locally by either increasing financial support or reneging on the proposals altogether? And, to anybody standing to be the next MP for Lancaster & Fleetwood: how do you feel your constituents will fare when fees rise and living expenses become unmanageable for students? Most importantly, the student body needs to say: NO MORE. Rising fees and rising rents has become par for the course for a number of years now, because students came to accept them as an inevitability. It is high time that we expose such thoughtless and profiteering decision making and start to make our own case, and it is time for our cash-rich University to stop sitting on its multi-million pound surplus and start spending it on students. For those reasons, I urge everyone reading this to attend the LUSU General Meeting, which takes place on Thursday Week 8 at 6PM in Faraday Lecture Theatre, to vote in support of LUSU action against this and to make their voices heard. As well as this, I would strongly advise all students to write to the Vice-Chancellor, at m.e.smith@lancaster.ac.uk, outlining your concerns, and to take a moment to contribute to the LUSU Yourvoice Thread so that the Students’ Union can be aware of the financial difficulties you face. Please share this article via every social media channel available to you.